A telemedicine invention called Cardio Pad developed by an engineer from Cameroon has been selected as the winning entry for [grow_thumb image=”http://telecareaware.com/wp-content/uploads/2016/05/Cardio-Pad-2.jpg” thumb_width=”150″ /]the 2016 Africa Prize for Engineering Innovation, according to news reports (BBC, Forbes, TechTrends, Business in Cameroon). Council (GCC) region. GCC is a regional intergovernmental political and economic union consisting of all Arab states in the Persian Gulf except for Iraq – i.e. Bahrain, Kuwait, Oman, Qatar, Saudi Arabia and UAE. The report has been commissioned by Philips and studies the environment in which telehealth operates – the policies, infrastructure, associated skills and institutional users. The Economist interviewed several experts for this report: the director of the Center for Connected Health Policy, associate Dean of the Mayo Clinic’s Center for Connected Care, chief medical officer of the European Health Telematics Association, a senior lecturer in professional healthcare education at the Open University and CEO of the International Alliance of Patients’ Organisations. As the report points out in its summary, “… access to telehealth depends not only on telehealth technology. Policy frameworks must be modernised, communications infrastructures such as broadband and mobile network coverage must be improved, and skillsets – both of clinicians and patients – need to be strengthened. Ensuring access to telehealth depends not just on the technologies, but on the broader enabling environment, especially policy harmonisation, communications infrastructure, and skills. Governments should consider more efficient licensing if telehealth is to enable patients to access medical expertise outside of their state, province or country. Here it cites the examples of USA and Europe. The state by state licensing in the US is a barrier to telehealth and the cross-state harmonisation in the EU helps telehealth. Telehealth provision must go hand-in-hand with Internet infrastructure rollout, since vulnerable populations are the lowest users of the Internet. Focus on systems integration: “… build usable systems with the requisite security and privacy” which “work seamlessly with those already in place”. Health providers may need support in working with new technologiesThe full report is available to download here. Vodafone has signed a global partnership with AstraZeneca in order to develop m-health services to improve the outcome for patients with cardiovascular conditions. 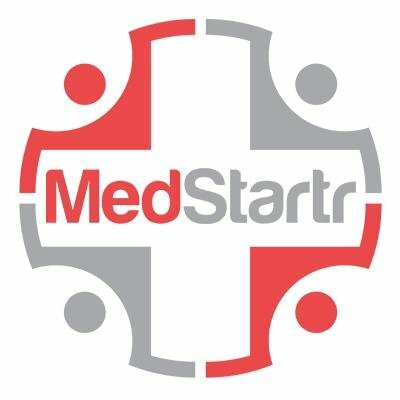 The collaboration will create new mobile and internet-based services to support patients through their treatment journey, improving medication adherence and giving patients confidence to manage their condition more effectively, according to the press release. AstraZeneca’s Intelligent Pharmaceutical Group will lead the project with Vodafone charged with providing the technology, infrastructure and expertise for the new services. The UK-based operator said it will also look to capture data from a variety of sources to improve overall engagement between patients and healthcare professionals. All the new services will be designed to work across geographies. “Bringing together the best in connectivity with the best in treatment and education will create powerful and compelling outcomes for patients,” according to a comment attributed to Vodafone M2M Director Erik Brennais. But there is little in the way of details of what the two companies may develop or the timescales. Swedish firm Doro, best known for its easy-to-use mobile phones has announced the opening of its first [grow_thumb image=”http://telecareaware.com/wp-content/uploads/2014/03/Doro-Secure-211.jpg” thumb_width=”150″ /]store. The company, which bought the small French telecare technology provider Birdy Technology in 2011, says that the store, in Paris, will enable them to “get closer to the end user”. Doro say in their press release that the store will enable them to show the full range of their offerings which are listed as smart devices, mobile phones and telecare solutions. The Birdy Box telecare hub, from their acquisition of Birdy Technology, has now been fully rebranded as Doro Gateway, part of the Doro Care offering. In addition, according to a quote from CEO Jérôme Arnaud, the store will enable Doro to increase its direct sales. “The store in Paris will be followed by a gradual launch of Doro’s own e-commerce, planned to be introduced in several key markets during 2014” concludes the release, but no information is available as to what Doro plans to offer in the e-commerce arena. A new group of industry stakeholders is asking the Australian Federal Government to adopt telehealth as a means to cut the growing national health budget. A whitepaper from the group was presented in Canberra on Wednesday to MP Steve Irons, chair of the House of Representatives Standing Committee on Health by George Margelis (who has previously contributed here at TTA) representing MPT Innnovation Group. Members of the One in Four Lives group include the Australian Information Industry Association (AIIC), BT Australasia, Anywhere Healthcare, Philips, MPT Innovation Group and the University of Western Sydney (according to Pulse IT) and is chaired by Lisa Altman, Health Practice Director at BT Australasia (part of BT Global Services). The name One in Four Lives reflects that 25% of Australians have chronic health conditions. 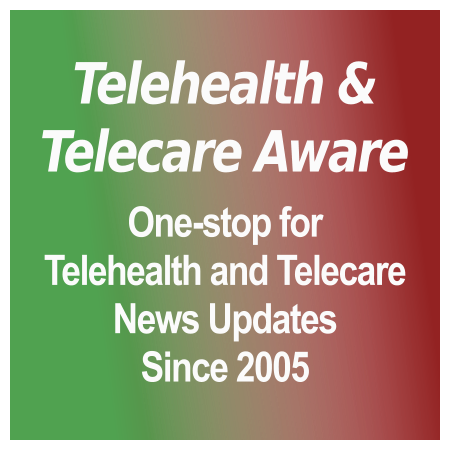 Australia has widespread use of telehealth as the many news items we have reported bear out. However majority of these are video link type schemes and the new group is advocating greater use of more sophisticated telehealth schemes using home-based connected sensors and dedicated monitoring clinicians. If, like me, you thought One in Four Lives sounded familiar, that is probably because the words “Three Million Lives” may have flashed through your mind. Three Million Lives, or 3ML, is a programme that was launched by the UK Goverment in 2011 to get that many people using telehealth. Just to complete the comparison, BT also happens to be the lead company in 3ML. Barwon South West is one of five regions in the most densely populated state in Australia, Victoria. [grow_thumb image=”http://telecareaware.com/wp-content/uploads/2014/03/THAW2014.jpg” thumb_width=”150″ /]Starting on Monday 17th March Barwon South West is holding a week of telehealth awareness activities to coincide with the Australian Telehealth Conference 2014 (ATC2014). Organised by Barwon Health, the Telehealth Awareness Week 2014 (THAW2014) will consist of thirteen face-to-face and online events spread across the week, but excluding the two days of the ATC2014 conference. Rebecca Eastgate, Regional Telehealth Program Manager for Barwon Health tells me that their week of activities including the webinars, “are probably too specific to our region and our local audience to be useful to those beyond Australian shores”. However if you are reading this in Australia, then you may want to look up the THAW2014 events list on Eventbrite and register for any of the meetings or Webinars that are of interest.